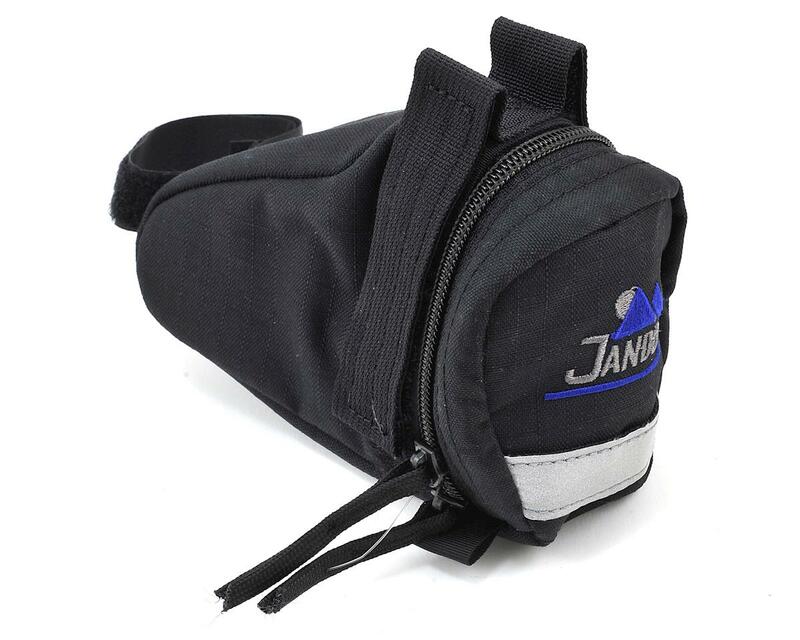 The Tool Kit Bag is our Jandd's economical under-seat bag. Its three-point suspension system consists of a hook and loop seat post strap and two webbing/hook and loop straps that thread through the seat rails. The upper straps, when pulled tight, will compress your load securely into the underside of your seat, making for a solid, no-bounce ride.